“As an early childhood professional I look for books I can recommend to new teachers and new parents. This will be one of my top choices for evangelical Christians or for anyone who presents a pro-spanking argument. The author thoroughly and systematically addresses all the familiar reasons parents give for hitting their children. She calls a spade a spade– spanking IS hitting people smaller and more helpless than you. She describes how it damages them, physically, emotionally, and psychologically. And she describes the alternative: loving, warm, and authoritative discipline. Stephanie Cox has excellent credentials in early childhood education, and a very sincerely expressed faith in God and His scripture. Inexperienced caretakers can trust her advice.” ~ Dr. Susan Aud. “I am pleased and honored to offer my highest endorsement for Stephanie Cox’s work in support of reducing family violence. 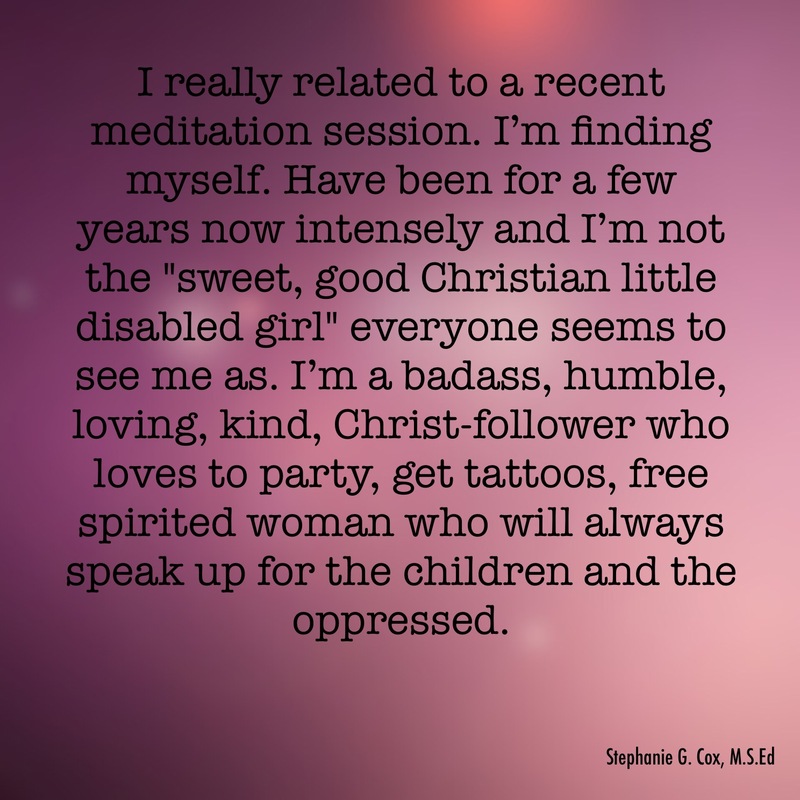 Stephanie’s perspective is an important one, which seeks to increase understanding among Christians who continue to advocate for administering corporal punishment on children. Stephanie’s background in child development supplements her vast historical and biblical knowledge. I look forward to learning from Stephanie for many years to come.” ~ Samuel Martin, author of Thy Rod And Thy Staff They Comfort Me. “You’re not going to find a more well-researched book on this topic. If you are the type of person to always want to know the truth and care about the effect your parenting will have on your children, you will definitely want to read this book!” ~ Dara Stoltzfus, mother of 8 and author of Jungle Breezes. “Gentle Firmness is much more than a ‘how to’ book on how to properly care and discipline children. With a broader and more discerning brush, it paints a vivid picture of why parents need to choose to grow in compassion and wisdom and learn other ways as parents. Stephanie Cox offers valuable, practical methods for doing so; as a result I will share this warm and glowing book with many of my personal and professional friends.” ~ Paola Garcia, Founder/President of Faces Of Child Abuse, Child Abuse Prevention. “Stephanie gives the issue of spanking a thorough breakdown as she examines the verses used to support spanking, the beliefs that are most often expressed about spanking, and the history of spanking children in Christianity. She challenges how this practice, found nowhere in Scripture, has become a salvific issue in some circles and she questions why something so counter- Gospel is so popular. Stephanie gives this topic a very thorough examination. By taking the pro-spanking beliefs to their natural conclusion Stephanie shows where they break down. In their place she presents a strong argument for discipline that is kind and firm and rooted in grace. Those who want to wrestle with this issue will find a wealth of information to challenge the typical prospanking information that is out there. Those who need a resource to defend their decision to not spank will not be disappointed.” ~ Crystal Lutton, author of Biblical Parenting and Grace-Based Living. 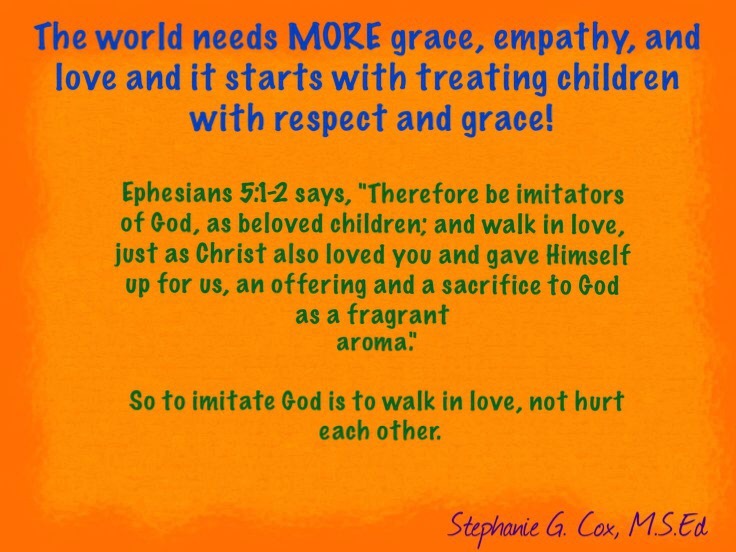 “Stephanie Cox has written a compelling book which looks at what the Bible really says about child discipline. She also looks at the Christian history of spanking and the effects spanking can have on a child. She does NOT advocate no discipline, but a gentle firmness which mirrors how God treats His children.” ~ Linda V., mother of two. “We as Christians are quick to ask ourselves this question in so many areas of our lives but tend to forget about it when it comes to our children. So many neurological and psychological studies have been done in the past few years on spanking and they all show that spanking our children is harmful to them in numerous ways. It is our responsibility as parents to begin reading, researching and praying for new ways to raise our children without hurting them. I am so excited about this resource. I have read several books about the affects of spanking and harsh punishment and Positive Discipline. Now to have one that shows us that it is most definitely not something Christ would do or recommend is wonderful. The author is so intelligent, well spoken, and well respected in the Christian community. I think you will love this book! !” ~ Sara Oatridge, mother of two. “Gentle Firmness takes a comprehensive look at childhood through a compassionate, biblical, and scientifically supported point of view. I’ve read countless parenting books and this one is by far the most complete. Among other things, the author addresses why spanking is harmful, the history of spanking, grace, the nature of children, and positive alternatives to hitting. The book is written in a respectful, engaging tone. Ms. Cox has helped further soften my heart toward my child, and has provided necessary tools to continue loving, teaching, and guiding him in a firm yet gentle manner.” ~ Brenda King, mother of one. “I appreciate the work you are doing. I just received your book and have started reading it. I am so appreciative that education is being provided in this area….just wish I’d had it when my children were small. Unfortunately, I followed Dr. Dobson’s advice for my first 2 children. I am trying to educate other young mothers about gentle parenting by using your book and sharing my own regrets.” ~ Debbie, mother of two. “I have to admit, had this book not come highly recommended to me, I would have looked at the cover in a book shop and passed it by. With my upbringing I’ve become untrusting of certain imagery and I would have passed this by without checking what it was about. I encourage no one to pass up this book because of the cover (not saying it is bad, I just personally find it a bit visually triggering). This book is amazingly written. I want to both call it a parenting book and not call it a parenting book all at once. The amount of research and information packed into this book is astonishing and Stephanie writes in such an every day style that makes it easy to understand. This book would appeal to the everyday reader as well as those more scholarly in tastes. I found reading this book to be like going on a journey. I found as I read this book my mind was revisiting moments from my own childhood and trying to make sense of the way people behaved or the things that people promoted. All too often people walk away from the church as adults thinking God is more about anger than He is about love… but we rarely think about how actions as adults is turning away the hearts of children through the actions of our own hands that we claim to be doing in His name. Even if the issue of spanking is not one important to you, this book is an important read. It outlines so many ways that violence (spanking) in God’s name has hurt our children and brings the reader to a point of understanding how the view that God wants us to be spanked is far from what God wants for us and our children. You can’t read this book without being affected by what Stephanie has to say. This is a book that should be sitting on the shelves of all churches. There is a long way to go to repair the hurt that Christian churches have caused in God’s names. To me, this book could be a wonderful tool to change the hearts of Christians more towards the heart of God when it comes to His love and gentleness for his children.” ~ Heidi, mother of two. “Gentle Firmness by Stephanie Cox, is one of the most important new books to join the gentle parenting movement, particularly for Christians. Thorough and well-researched, it takes an unflinching look at the history of spanking within the Christian faith; why the Bible doesn’t actually say what so many well-intentioned pro-spankers think it says; the harmful and often long-term effects of spanking; and finally, practical suggestions on what peaceful parents can do instead. One complaint that I often hear from pro-spankers is along the lines of, “Well that’s all well and good. But if you don’t spank, what do you do?” It’s easy for a spanking advocate to make the leap in thinking that says that if you don’t spank, then you must not discipline at all. That is of course not the case, and Cox spends Part Four of the book discussing exactly that. It’s important to note that she isn’t advocating for swapping spanking with other types of punishments such as time-out either. What she espouses is truly parenting in Jesus’s footsteps: parenting – and by extension, disciplining – with kindness, compassion, and grace. Lots and lots of grace. I am utterly thankful for this book, and for Stephanie Cox and the important work that she is doing. My own personal knowledge of the history of spanking was spotty at best, and while I truly believed that the Bible did not advocate spanking, my responses to the contrary generally never got more in-depth than, “Jesus wouldn’t hit a child.” This book, and Stephanie’s research, fills in all those gaps. It provides the answers, it cites the research, it documents the history. It exposes all the misinformation, and puts Christians firmly (but gently 🙂 ) on the right track of truly following the Bible when it comes to matters of parenting. The tagline reads, “Conveying the True Love of Jesus to Your Children Through His Example,” and that’s exactly what it does. This is truly a refreshing and encouraging book, one that should be on the bookshelves of churches and Christian parents everywhere. You can follow Stephanie on the Gentle Firmness Facebook page here. *I was given a free copy of this book in exchange for an honest review. All opinions are my own. *” ~Jennifer McGrail, The Path Less Taken. “This is an excellent book that teaches Christian parents to parent their children with the same love that God bestows on us as His children. The author sets forth clear interpretations of the Scriptures that make sense and make us better understand how to gently and respectfully guide our children into becoming the moral people we want them to grow to be, without hitting them or otherwise punishing them for normal behavior. I was already opposed to hitting my child when I read this book, but as a Christian I often felt like people around me were judging me for “sparing the rod” and reading this I had a lot of moments when I was nodding my head and saying “Exactly!” and it’s made me a more confident Christian parent who chooses not to strike my child, but to find other ways to define boundaries and provide a structured environment for my sweet little girl. A must read book for Christian parents who choose to model the gentleness we want to teach our children.” ~Rachel, mother of one. “This book does an excellent job of sharing research, biblical truth and personal story to explain gentle parenting. How refreshing to read a book written on child rearing that eloquently explains why spanking is not the answer to raising healthy children. Thanks, Stephanie for sharing your heart, your passion and your life with all of us!” ~Paula Morris, mother of four. “As a mother of three wonderful children, ages 8, 5 and 2, I couldn’t recommend this book highly enough. When I first began my journey into motherhood, I wasn’t sure how I would “discipline” my children. I am a former school teacher, and as a teacher I saw many students who had never learned to be kind or respectful. I never blamed the students for their behavior; I knew they had never been taught how to comport themselves, and I took it upon myself to show them, with kindness and understanding. When my oldest son was born, I planned to spank, as that is how I was raised. Yet as I watched my son grow, I noticed how well he responded to gentle firm redirection. I imagined his response to a spanking, and saw it would lead him to be angry and withdrawn. I learned the best definition of discipline: to lead, to guide, to correct, nurture and disciple. I was so happy to have found a way to teach my child while keeping his dignity in tact. Now, with three children, I am so happy I went down the path of gentle discipline. My children are human. They act out sometimes; they test the boundaries. And yet, they respond so well to kind correction. Their hearts remain soft and open as I cultivate relationship with them. One of the hardest things about my early journey into gentle discipline was the great cloud of Christian “witnesses” surrounding me, telling me my kids would never turn to God if I didn’t spank, that I wasn’t interpreting the Bible literally, and that my children would become rebellious. How I wish I would have had Stephanie’s book starting out. It would have saved me so much agonizing research; it would have cemented in my mind that the way I was raising my children was biblical. Stephanie is very thorough in her book. With compassion and kindness, she examines what Scripture teaches about discipline, long-held Christian beliefs about child-rearing, and a multitude of case studies.She doesn’t just point out flaws, she also gives clear strategies for gentle discipline. Even if you are leaning towards spanking, but wonder if there is a better way, this book is a must-read. Even as a more “seasoned” mother who has been raising children in a gentle firm manner, I have learned so much from Stephanie’s book.” ~Carissa Robinson, mother of three.